As one of the top-rated legal firms in the Greater Toronto Area, the AG Injury Law Office has over 50 years combined experience defending individuals who have been seriously injured in a broad range of accidents. We have aggressively represented our clients at the negotiating table and in the courtroom and have a lengthy track record of continued success. In order to keep updated on the many complexities and intricacies of personal injury law, we attend numerous legal seminars on a regular basis. We are a client-centric legal firm. This means that we are committed to the protection of the client’s best interests and their rights while at the same time focusing on achieving a fair and reasonable settlement for them. Unlike some other personal injury firms, we will not accept a lower settlement amount than what your case is worth. Our legal team is well known for working tirelessly to get clients the benefits they are entitled to and will ensure that you and your family are not financially devastated by your injuries. They should focus on your needs and provide creative legal representation and personalized legal strategies. They should have consistent, proven success in personal injury litigation. They should not charge a fee up front and only do so unless they win your case. We know that some accidents can be life-changing and leave an individual permanently disabled. Furthermore, catastrophic injuries can be financially devastating for the family of the victim. There will oftentimes be lost wages and mounting medical bills due to the client’s inability to work. Taking all of this into consideration, the client typically feels that they have no chance of affording a personal injury lawyer to represent them. But because we operate on a contingency fee basis, you won’t have to pay us if we can’t recover compensation for your personal injury case. Rest assured, when we do take on your case, we’re going to be confident about receiving a fair and reasonable settlement for you. Furthermore, we won’t charge a fee for your initial consultation. At the AG Injury Law Office , we care about our clients and are always compassionate towards their needs. We only give legal advice and represent clients just like you, not larger corporations, the insurance companies, or government agencies. Your recovery is our primary concern and that’s why we do everything within our power to ensure that your life gets back on track after you have sustained injuries in an accident. We also know that you may have concerns regarding financial support for lost wages, medical bills, and other expenses that are attributed to your accident. We go above and beyond merely representing you in court or at the negotiating table. So we specialize in representing individuals who have sustained life-changing injuries. Our personal injury lawyers and our staff members are always caring and compassionate about our client’s needs. They will help you understand your case and all its complexities. 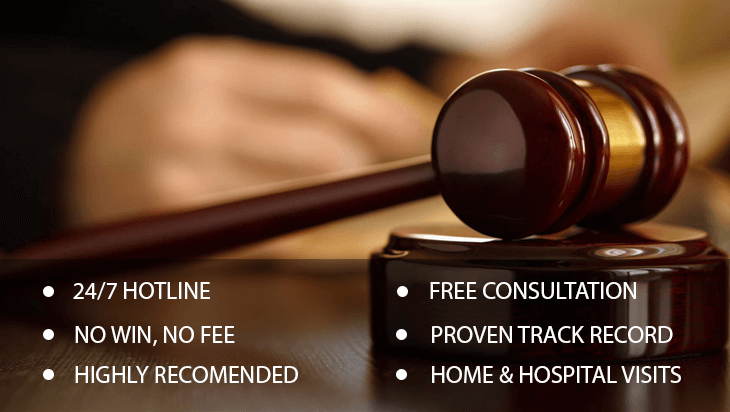 Furthermore, we provide experienced personal injury trial lawyers who are always ready to handle your case and get you the compensation that you are deserving of. Plus we are highly knowledgeable in all areas of personal injury law from dog bites and defective product (product liability) cases to catastrophic injuries. Most importantly, the AG Injury Law Office will ensure that your rights to compensation for your injuries are protected throughout your case. We represent on your behalf as needed to ensure that justice isn’t denied. Accidents can leave individuals permanently disabled and incapable of earning a living while at the same time devastating their household financially. Our personal injury lawyers will aggressively represent your case in front of a judge and jury or at the negotiating table. For more information regarding our services, please contact the AG Injury Law Office today.